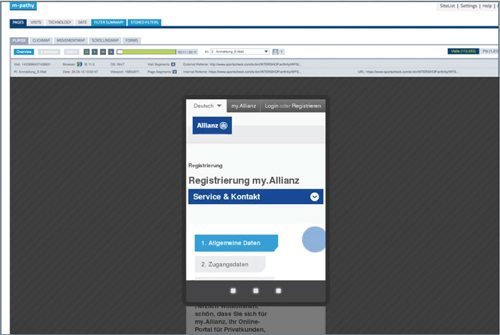 With m-pathy UX Insight G4 you receive objective and prioritized recommendations based on real user interaction data. Recording and playback of all interactions (clicks, scrollings, mouse movements, touchs gestures and keyboard input) in realtime. Extensive filter options enable detailed data segmentation in all m-pathy analysis tools. 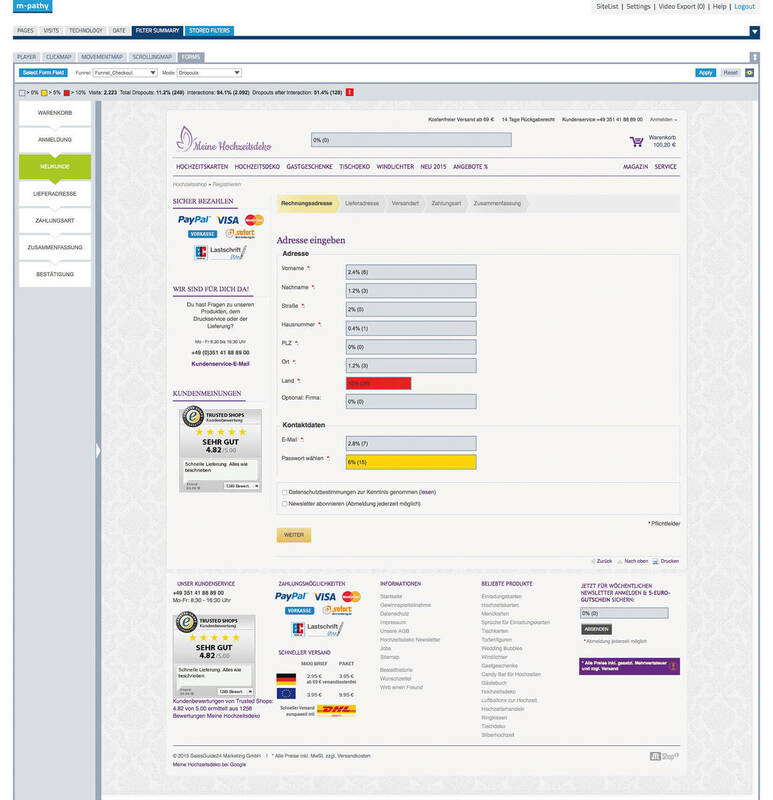 The full-text search within the delivered web content permits e.g. the easy detection and quantification of error messages. 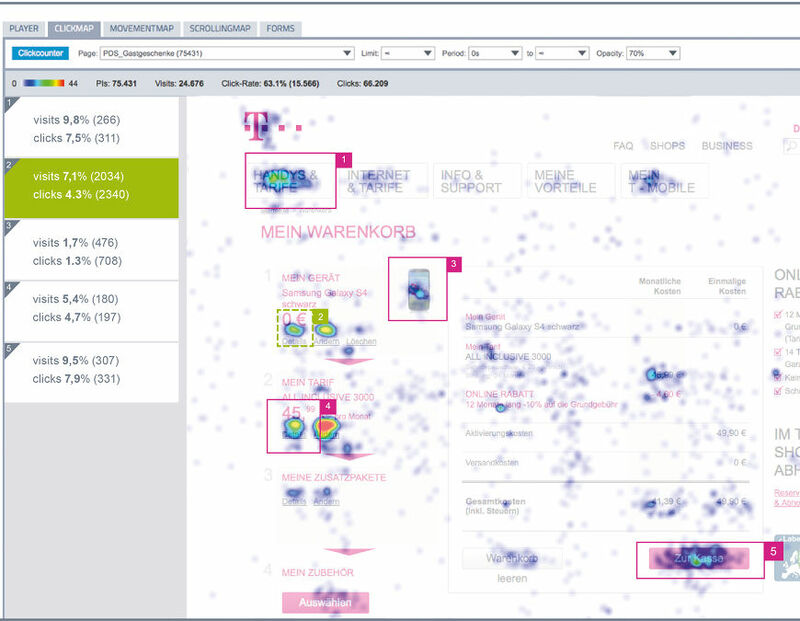 Create heatmaps based on clicks, mouse movements and scrollings. 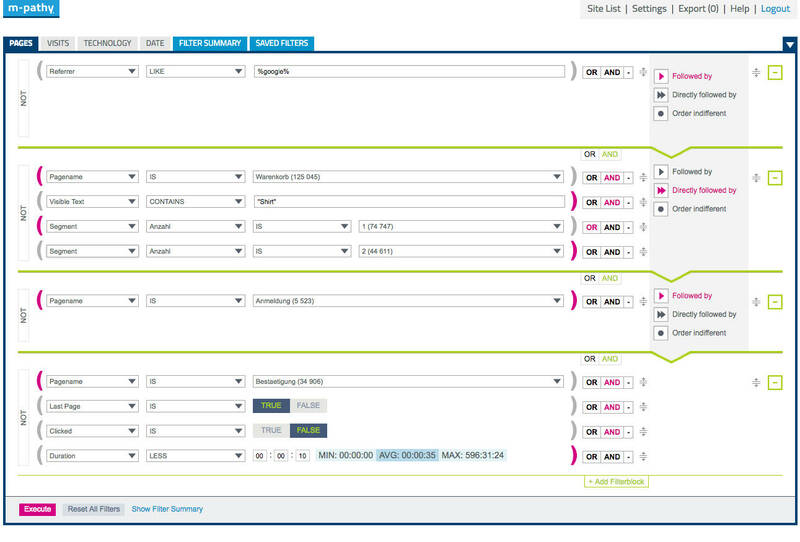 Our form analysis delivers detailed KPIs for each form field. Both tools can explain specific behavior through drill downs into single sessions. All data and recordings are from users of your website. In contrast to the usage of probands, this means: No artificial laboratory situation, but real behaivior of real users. The evaluation of thousands of visitors allows the quantification and prioritization of opportunities and weaknesses. Personal data is anonymized before recording - this makes m-pathy compliant with all data protection regulations. 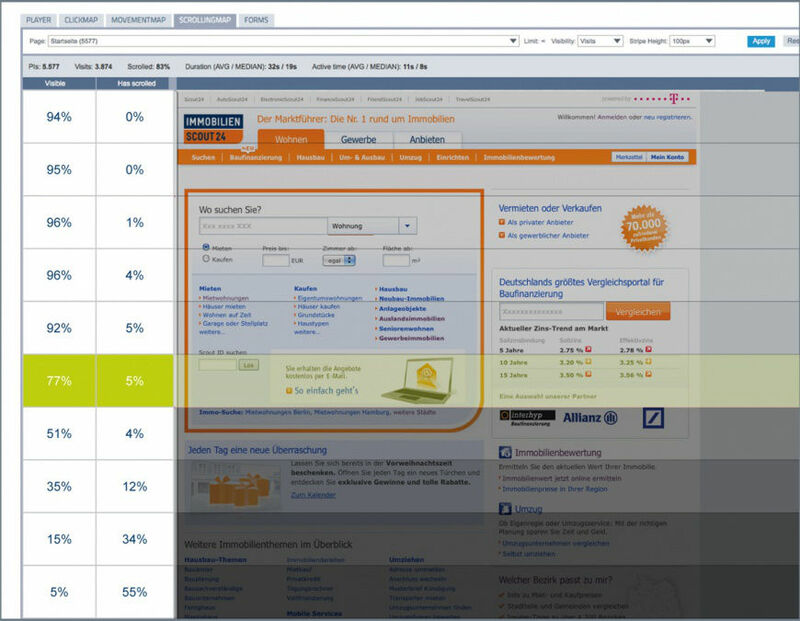 The uncovered optimization potential with a m-pathy analysis is at least 15% even for highly optimized websites. Explain test results and derive promising variations. 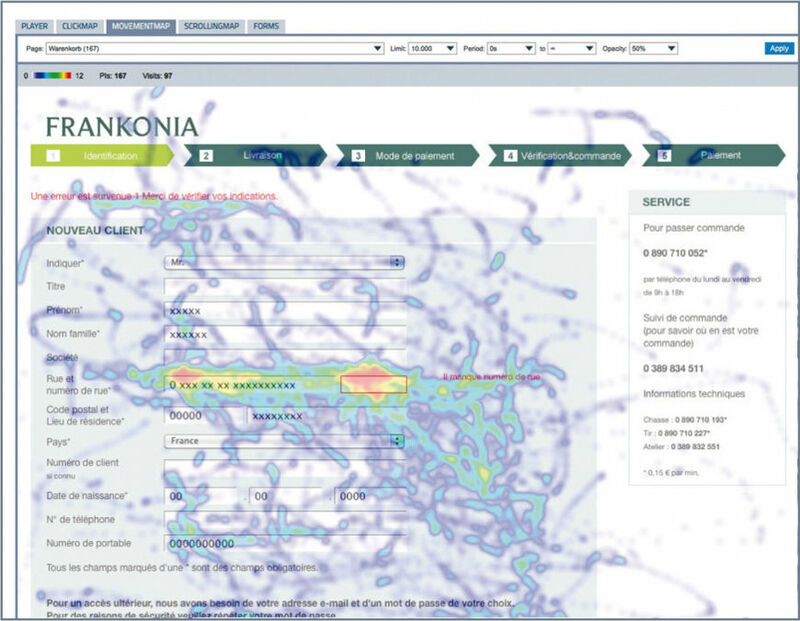 Web-Analysis-Systems can only show where there are opportunities and problems. In combination with m-pathy you can finally reveal, with session replay, the causes of usability issues. Our video playback visualizes all clicks, scrollings, mouse movements, touch gestures and keyboard inputs of the users on your website. This way you can understand and optimize real customer behavior. Your team is fully occupied? Let our analysts with experience from over 200 optimization projects do the work for you. We derive priorized recommendations and present them within an implementation workshop at your offices. 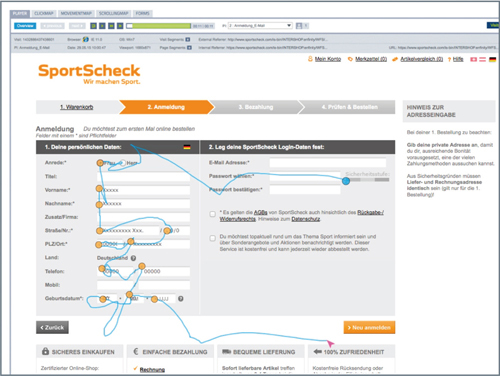 You are an expert and want to analyse by yourself? We are more than happy to provide you upfront with support and training for your inhouse usage. We are also offering you the possibility to take advantage of our three step certification program. 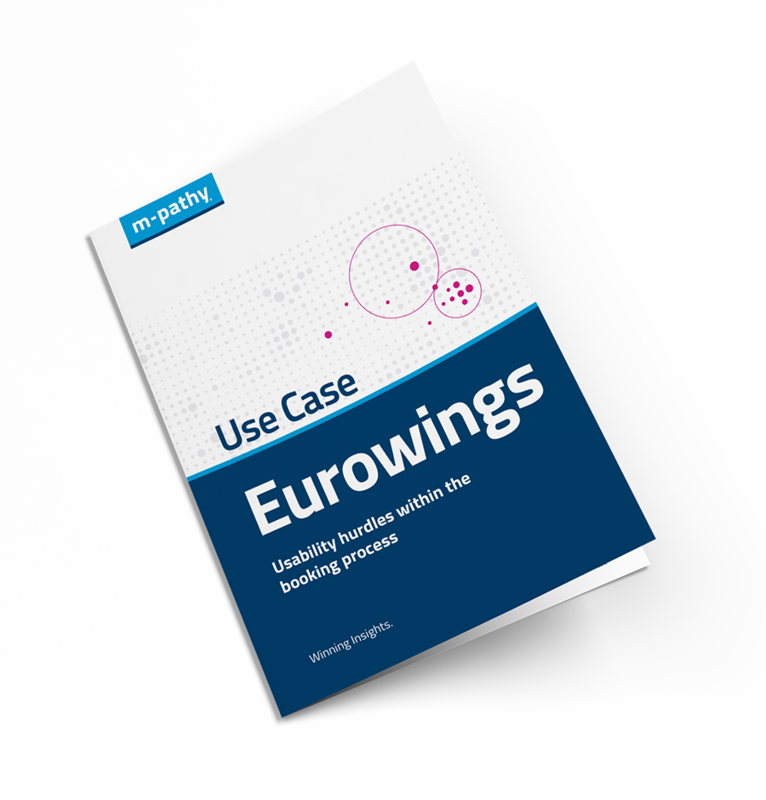 For Eurowings we tracked and analyzed the single steps of the booking process for desktop and tablet users. Especially the selection of the seats sticked out with a high Abandonment Rate as it was not user friendly.